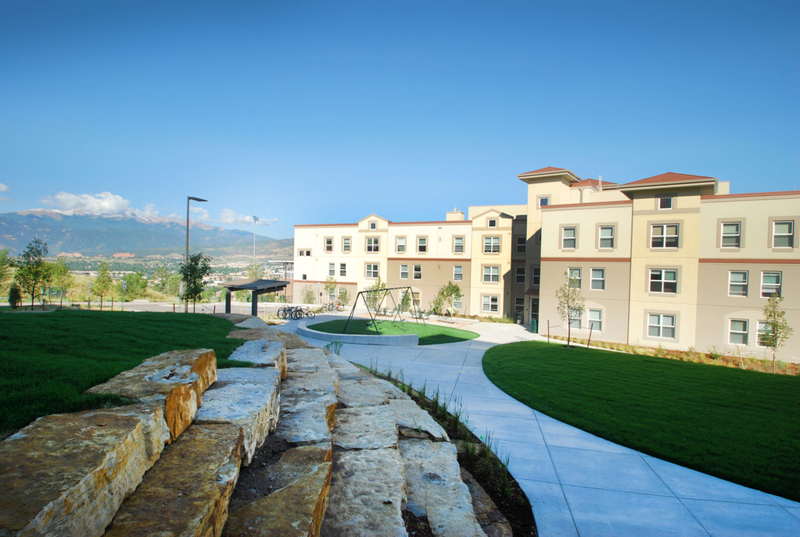 The $17.2 million Alpine Village Housing offers an apartment style living environment to 303 students at the University. 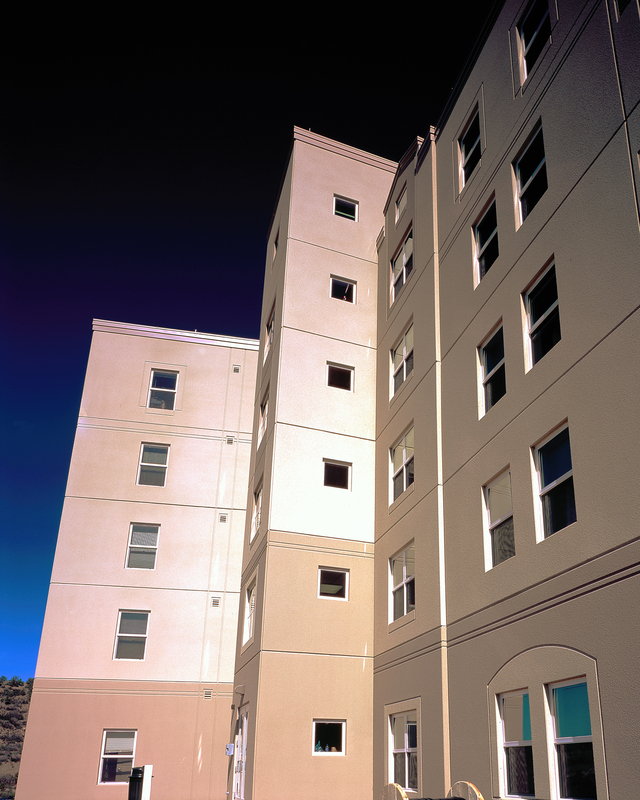 The furnished apartments come in one, two and four bedroom ﬂoor plans and feature full kitchens, bathrooms, and individual bedrooms. 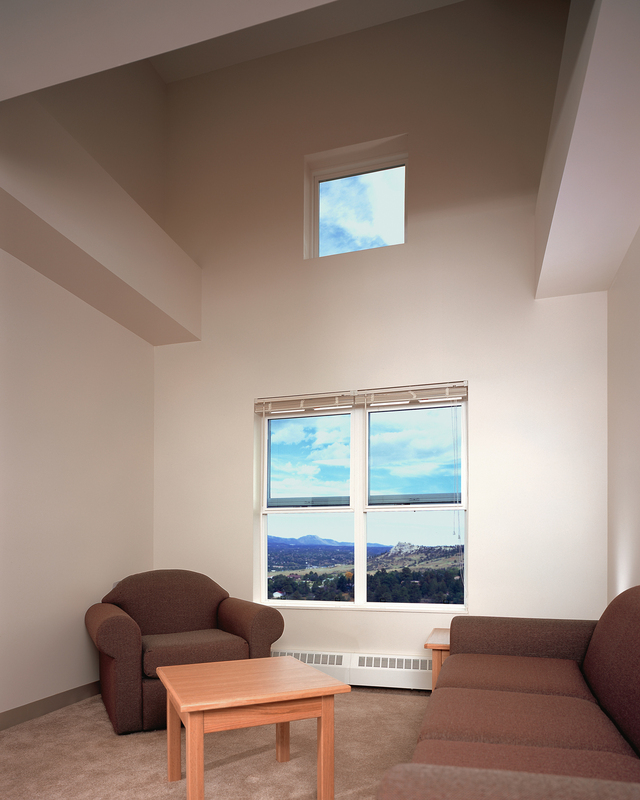 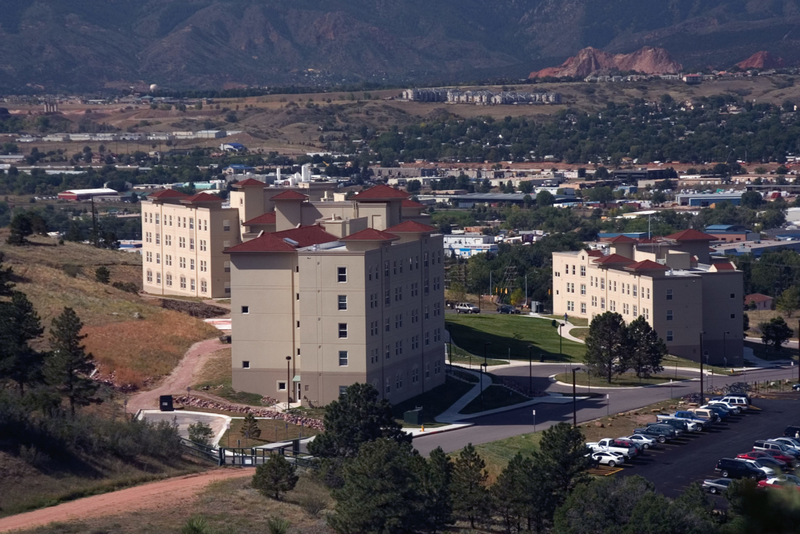 Built on a hillside on the east end of UCCS’s campus, Alpine Village follows the contours of the terrain and provides spectacular views of Pikes Peak, the Garden of the Gods, and Colorado Springs. 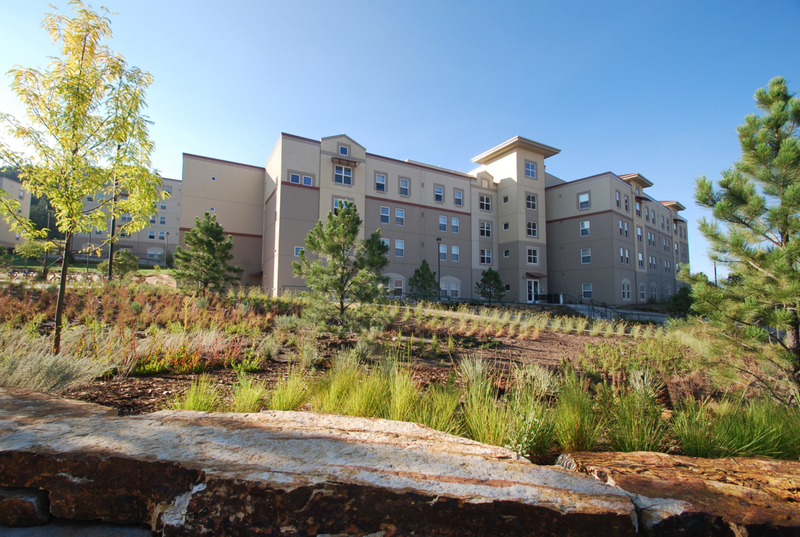 The project is a major step in helping to continually transform UCCS from a commuter campus to a larger more traditional residential campus. 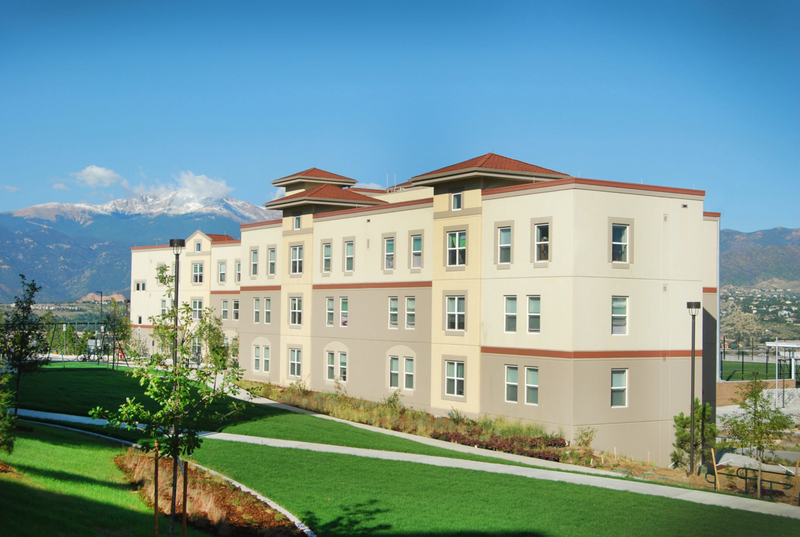 The entire project from the beginning of design to occupancy occurred in less than fourteen months utilizing a Design-Build delivery approach.